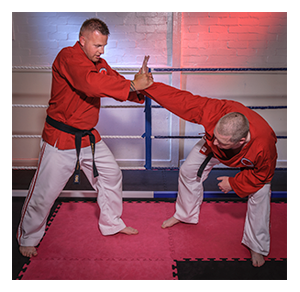 Jiu-Jitsu is arguably the oldest Japanese martial art and originated as the unarmed combat system of Samurai warriors on the batlefields of Japan. Following more than a thousand years of evolution it is considered the most efficient and practical self-defence and fighting system of today. Learn traditional jiu-jitsu taught by sensei Tommy Mitchell. Tommy is well v ersed in many martial arts styles as well as weapons. 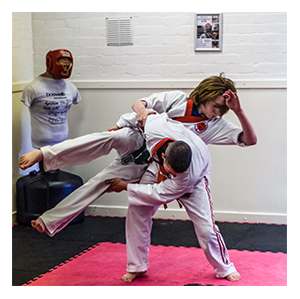 Practical street self defence is taught as well as kicking, punching and other striking. The system includes chokes, locks and throws as well as ground work. Tommy, Ronnie, Scott and Euan teach these jiu-jitsu classes in Ayr and always welcome beginners. Control and restraint techniques is one of Tommy’s specialties, he teaches control and restraint courses to NHS nurses, doctors and all health authorities, the police and door stewards.